It's great to see players from your club play their part in their national sides, and these days City have more than they used to. But however good it is to see Balotelli ripping apart a German defence or Silva picking up another winner's medal I would assume we're all thinking something along a similar lines while they're on international duty; "Please don't get injured". Unfortunately that's just what happened to Barry and Richards, and although Balotelli and Silva are unscathed, they're highly likely to miss the season opener against Chelsea in the Community Shield and maybe even the first game against Southampton. As City have had so many returning late to pre-season it has forced the club to basically have 2 training camps, those that didn't go to the Euros and those that did. But what could have been seen as a negative by some, is undoubtedly a huge positive for others. Because there have been 2 camps, it has given a large number of young players to train and play alongside the players they one day hope to oust from the 1st team. As you would expect, some players featured more than others. Denis Suarez (17), George Evans (17), and Marco Lopes (16) were amongst the most used but none more so than Abdul Razak (19) who was a key feature in the majority of games. 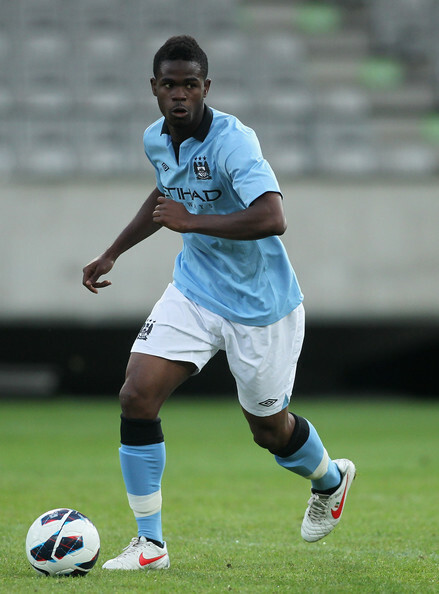 Razak has featured for City 5 times in the past with 2 Premier League appearances as a substitute and 3 in the League Cup (2 starts). The 19 year old Ivorian came to City as a technically gifted and strong attacking midfielder. However, since gaining his City debut against West Brom early in 2011 when he came on as a late substitute he has been used deeper in midfield. Of all the positions at City, the average age of players in the heart of midfield (29 y/o) is significantly more than those in other positions (GK 25 - RB 25.5 - LB 26.5 - CB 26 - AM 25.5 - FW 24.75) and with Gareth Barry being only the 2nd player in the squad who is actually over 30 years old (Kolo Toure being the other), it is obviously him, or more correctly his position, that will need to be filled first should all players remain at the club due to the physical exertion needed to play in this position. We've seen that Mancini isn't shy on playing players in new positions if he feels that they have the right attributes to do so, the prime example being Yaya Toure who came as a defensive midfielder but is now really known as a driving force in attack as well as a linchpin in the centre of the park. In many ways, barring the physical stature, Razak is very much like a young Toure (who was an attacking midfielder/striker in his youth) and he has often been described as 'the new Yaya' because of this and his nationality. Although he has got a long way to go, it isn't outside the realm of possibility as Toure was described as being "completely average" during his trial with Arsene Wenger at the same age Razak is now. That's not to say Razak is 'completely average' of course, but as with every young player there are areas of his game that need improvement. His overall fitness needed to improve from last season, if you recall his starts for City he had cramp in both games while playing in a holding midfield role. It's difficult to judge whether he's managed this because the games during pre-season aren't any where near as physically demanding as they are during competitive tournaments. The other area was his close range passing, which was often just a little lackadaisical, leaving the receiving player more work to do than they should have to get the ball as an opposing player threatened to pounce on a poorly-hit ball. This has quite noticeably improved as pre-season has progressed no doubt due to the strict and high standards Mancini sets his players during training. Work still needs to be done though. Due to Barry's recent operation it is likely we will see Razak during the early weeks of the season. Although he will still have De Jong in front of him in the pecking order, he is unlikely to get a better opportunity to prove his worth as a member of the squad and he needs to grab it with both hands. I would usually suggest he goes out on loan to gain that first team experience, but not this season. The 'Barclays U21 Premier League' starts this season which (fingers crossed) will provide a higher level of competition than the old reserve league and will give Razak and others the chance to impress amongst players of the same or similar age at Clubs with the best academies in the country. The Premier U21 League also gives a player the opportunity to be included in the 1st team match-day squad and the U21 squad, fitness permitted, in the same weekend. I would like to see much more of that kind of thing this coming season even if it's just one young player on the bench at a time and with Lombardo's close relationship with Mancini I have my fingers crossed that there will be an increase collaboration between the EDS and 1st team. Is Lombardo the right man for the EDS? For those that like to follow the reserve and academy set up at City, you'll probably be aware that Andy Welsh is no longer in charge of the EDS set up. The news was greeted with approval, even from a player who has recently left the club, such was the standard of coaching during Welsh's tenure at the club. Although the confirmation of a permanent post hasn't come from the club, Attilio Lombardo has taken over the reins in the EDS. This hasn't been met with jubilant approval but more of a cautious anticipation at best from the majority of City fans I've spoken with about it. But what could the appointment of Lombardo to head of the EDS mean for City? Well, I think it's widely agreed that the standard level of coaching will have improved, but judging from the things I've heard in the last few weeks I don't think it could have got much lower. Lombardo does have experience in coaching young players too, as he spent 4 years at the end of his playing career as a youth coach at Sampdoria. His official coaching credentials have been questioned, and I'll admit, I have no idea what, if any, coaching badges he has. But as we know, qualifications aren't everything and they don't always make you better at the job. If you're a bad coach, you're a bad coach regardless of how many coaching badges you've taken. What does concern some is that he doesn't have tried and tested pedigree of strong player development like some ex-coaches at City have had, namely Jim Cassell and Steve Eyre. The connection Attilio has to Sampdoria also has other positive implications. Lombardo played alongside Mancini for 6 years at La Samp and once again for a brief period at Lazio. 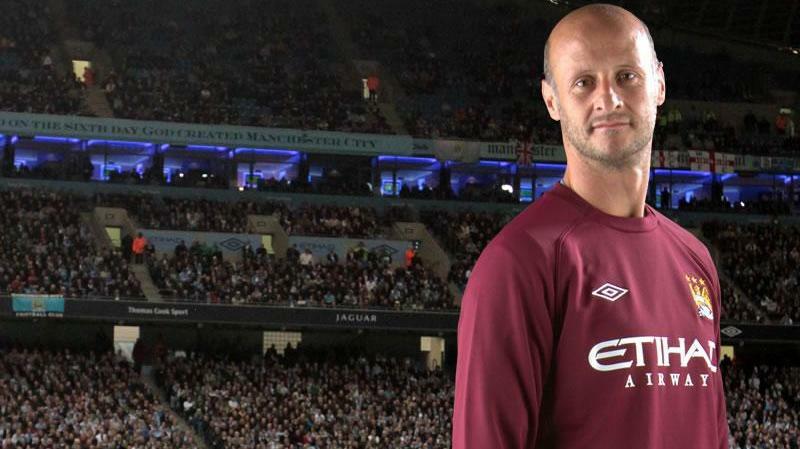 He again joined up with Mancini in 2010, this time as part of the coaching staff at City. What I'm saying is that the two men are close friends and know each other very well. Mancini is known to be a relatively closed book when it comes to players and staff alike if they're not perceived to be pulling in Mancini's very specific direction. What I think we will see is a greater flow of information and collaboration between the EDS and first team, one which wasn't there before. Although Andy Welsh could often be seen on match days but at no point did it look like their was any sort of relationship between him and Mancini. With Lombardo however, we know there is a personal friendship and trust there. Although Mancini has given a number of players a chance, the vast majority only got the one chance as City pushed towards Champions League qualification and Premier League success. Would that have been different had Mancini had a trusted adviser in the EDS camp? It's a question that will remain unanswered. Mancini's position within the club is also strengthened by Lombardo's presence in the EDS, and could be a sign of him exerting his greater influence within the club since winning the Premier League and penning a new 5 year contract. Bobby has a clear vision for the club and is clearly comfortable with Lombardo's credentials, so who am I to argue? 2-3 years ago, several players in this crop of players now in the EDS had the potential to push on to play in the first team. One of the major criticisms levelled at Welsh was that the vast majority of these players did not progress at the level expected of them and several have stagnated completely. While I admit it would be increasingly difficult for young players to break through, an indication of where a player is can sometimes be their national sides, and some have been overlooked completely for a couple of years at the 18-21 levels while Welsh has been at the helm. What Attilio has to do now is drive these players back towards their potential, they need to be pushed and tested so they can make the next steps in their career at City. Undoubtedly for some it may now be (and probably is) too late while others may be caught just in time. But is Lombardo the man for the job? That's a question that will be answered soon enough. Waiting for the new season to start is like waiting for Christmas or birthdays at 5 years old, it just can't come soon enough. And after the sublime end to last season coupled with the stunning football we witnessed for the most part, it would be fair to say that City fans are probably looking forward to the new season more than most. Thankfully City's interactive media team are providing us with some fantastic videos on a daily basis so we can get at least a small City fix until the season starts. For those who have been watching, one of the few changes to the squad that looks to be almost nailed on (pending a successful work permit application) is Nir Biton. 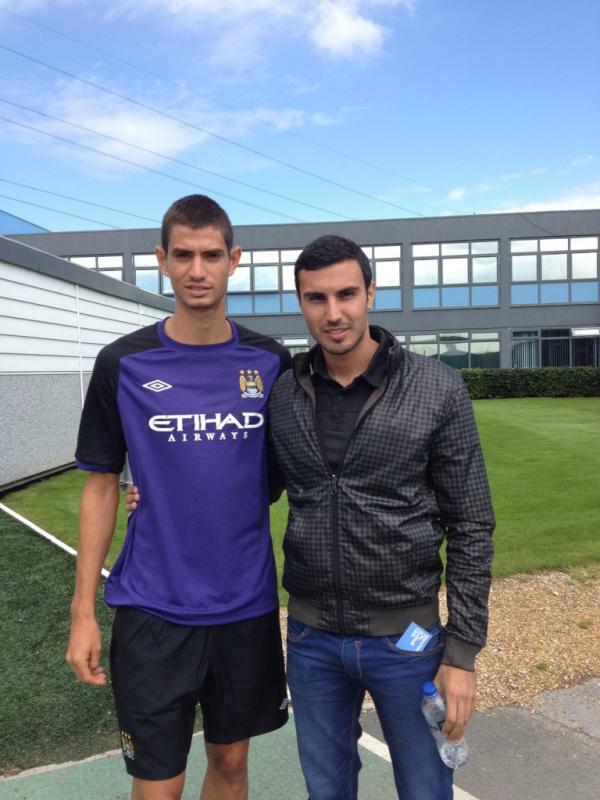 The Isreali midfielder had a trial at City in January but there were problems with attaining a work permit at that time, obviously he impressed Mancini enough for the Club to try again, and according to his agent, the deal looks set to successfully conclude before long. 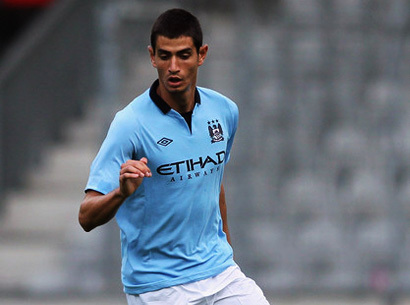 Biton did feature in City's first friendly of pre-season against Al Hilal, and for those that managed to watch it you will have probably guessed where this blog was going from the title. The commentator was dreadful and was struggling with simple names, never mind Elabdellaoui (pronounced Elabdabooboo at one point). But I digress. Nir has a similar physique to a young Yaya Toure and plays a very similar game to the Ivorian. With Yaya hitting the big 3 0 this coming season, Biton is likely seen as a potential long-term replacement in the next couple of seasons. One thing is for sure, he doesn't look out of place on the training ground during high-intensity practise matches. We know they're at a higher intensity to a few Premier League clubs through Gael Clichy who stated that he was very surprised when he came to City at just how physical the training games are compared to that of Arsenal's. Will he have the ability to make the massive leap from the Israeli Premier League to the English one? Who knows, but the initial signs are promising and at only 20 years old he has already impressed the manager enough to include him in this summer's pre-season tour despite not properly signing yet. Hopefully we will be able to get to see more of him tonight, along with several other promising young players, when City take on Dynamo Dresden in the 2nd friendly of the Austrian tour. Pre-season training begins up and down the country, save those who went to Poland and Ukraine for Euro 2012 and the players who will be competing in the Olympics. The media start to crank up the rumours even more than before, fans look eagerly towards the ones circling their own Club despite knowing full well that the vast majority of them are nothing but half arsed passages to fill a gap in a tabloid newspaper. City, especially since Sheikh Mansour took over, has been no different. Dozens of players are supposedly being lined up "according to reports" or "we understand" or "(insert paper here) has learned". Naturally, since Van Persie has said he won't be renewing his contract the reports of his arrival have tripled. This despite even more rumours of City losing interest just 7 days ago. A quick look online and you'll see many Arsenal fans have already turned against him. One particularly vociferous, piece of human pond scum has declared that if RVP moves to City then he "will be dead" to him. Other have dubbed him Van P€r$i€, which is really witty, don't you think? Have you ever known a set of fans that get quite so irate at the thought of losing a player to a club that isn't even one of their local rivals? It's not as though City have paid a pittance for the players we've bought from them either. Another persistent rumour has been the interest in our little magician from Real Madrid. Silva has said he's staying, has spoke of winning more trophies with City and even more reports suggest that City are in talks with him over extending his contract which currently runs until the end of 2014-15 season. 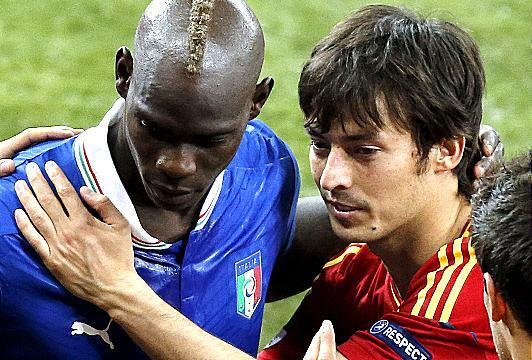 Only today the oracle of insider knowledge, Goal.com, has described Silva as being "tight-lipped" over their interest. I assume what he's said in the last few weeks doesn't matter then? He's got 2 years on his contract, City don't need the money, are current champions of England and he has cemented his place in the Spanish starting 11 since moving here. I think we can safely say that David will be turning out in the sky blue of Manchester City next season. 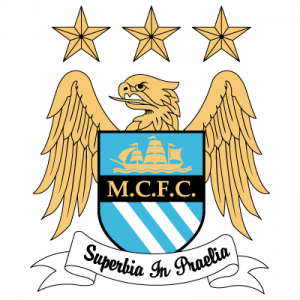 In just over 7 days City step up their pre-season training with 3 friendlies in Austria. Hart, Lescott, Richards, Clichy, Milner, De Jong, Silva, Nasri and Balotelli returning to training at different times it would be a good way of having a look at some of the younger players at City. Rekik, Suarez and Guidetti (if fit enough) are nailed on to be travelling with the first team. Others such as Wabara, Rusnak, and Razak are also likely candidates to travel. On the fringes of that there may be Bunn, Helan, Cole and Henshall. All would greatly benefit from a little time in the first team even if it is just in friendlies. Whether any of them get a decent look in this season is another matter. Hopefully they will, but the odd game here and there is no good for a young player striving to improve his own standard. And it's no good for a Club to have a player's progress stunted because they can't get sufficient game time to do so. So season-long loans for the older or more talented ones is on the cards. If only there was a way of allowing the 18-21 year old players play regular competitive football whilst still under the umbrella of their parent club. Never mind, we have always got tradition, eh? On that note though, the FA are piloting an U21 league this season and the had best make sure it takes off and doesn't become just another glorified reserve league. Otherwise their horrendously overdue efforts at reforming are for nothing. The potential of this idea is great, but it has to be done right, the FA and Premier League have to generate interest in it and make sure their is something substantial to play for. So here's to the new season, and hopefully we can celebrate at the end of this as we did the last. The curious case of Freddy Veseli. City Slickers Seal Sergio's Saughtafter Signature.